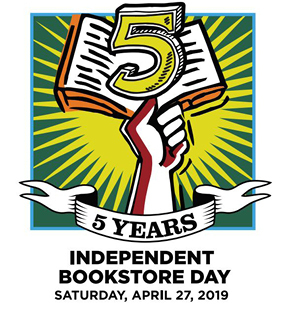 Greenlight joins bookstores across the city and across the nation in celebrating the fifth annual Independent Bookstore Day on Saturday, April 27! With special items for sale and activities throughout the day, the bookstore is where you’ll want to be all day long! Exclusive Independent Bookstore Day items for sale (only at indie bookstores, only on April 27) - click here for a sneak peek! Kids activities in both stores from 10 AM to 5 PM celebrating the 50th anniversary of Sesame Street, including bookmaking, stickers, and more! Drop-in visits and signings by many of our favorite authors, including Hala Alyan, Marie-Helene Bertino, Lisa Brennan-Jobs, Mahogany Browne, Jess Bruder, Tina Chang, Ricardo Cortes, Jennifer Egan, Shira Erlichman, David Ewalt, Isaac Fitzgerald, Brian Floca, Gilbert Ford, Thyra Heder, Saeed Jones, Eleanor Kriseman, Amitava Kumar, Hari Kunzru, Caron Levis, Aaron Meshon, Eileen Myles, Angel Nafis, Helen Phillips, A. O. Scott, Beowulf Sheehan, Tamara Shopsin, Darcy Steinke, Hannah Tinti, Sara Varon, and more! 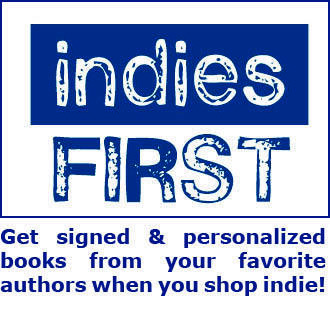 Visit indiebookstoreday.com for more Bookstore Day!